Open center console layout for serious fishing. Twin engine power for getting to the good spots quickly! Bimini Top. 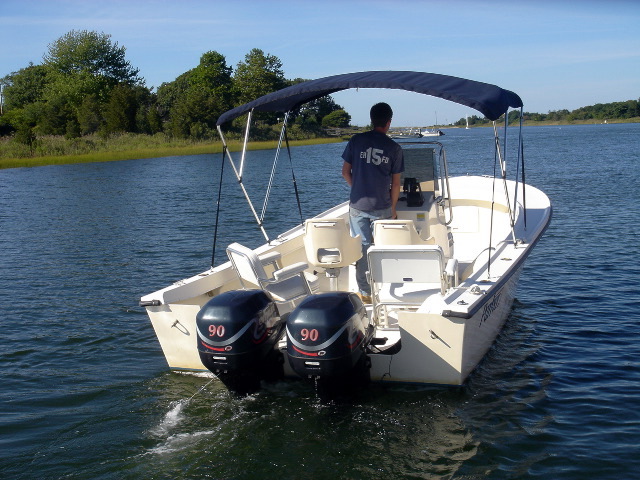 Evinrude direct injection twin 90 hp engines for fuel economy.